On Sunday, Oct. 13, Called to Coach featured a webinar with strengths coach Kim Pong Lim. Kim Pong is one of the first Gallup-certified strengths coaches in Singapore, and is among Asia’s most accomplished practitioners of strengths-based development and talent management strategies. In 2009, Kim Pong discovered his strengths while he was seeking purpose and direction in his life. For the first time in his life, StrengthsFinder gave him a language with which he was able to describe himself. Kim Pong wanted to help others experience this same life-changing realization, so he quickly found himself on the path to strengths coaching. The best way to love and serve people is by using your talents. One of Kim Pong’s top five strengths is Adaptability -- a strength that allows him to “go with the flow.” When he first got into coaching, he knew his Adaptability would want to take over before he could develop a plan for his clients. Being aware of this, he stepped back, made a plan, and then let his Adaptability fall into place. Another one of Kim Pong’s top five strengths is Competition; he is always looking for ways he can win. When he coaches, he projects his Competition onto his clients by saying to them, “How can I make you win?” Kim Pong knows that when they win, he wins. Many people strive to live their lives as well-rounded circles. Those who are well-rounded have skills in many areas, but they don’t have exceptional talent in any one area. Those who shape their talents like a star tend to focus more on what they do well. Being a star gives individuals the opportunity to keep their valleys as shallow as they’d like, but it also allows them to strengthen and sharpen their peaks. Join us for the next Called to Coach on Friday, Nov. 1, at 1 p.m. EDT. We will feature Shane J. Lopez, Ph.D. Dr. Lopez is the world’s leading researcher of hope and author of Making Hope Happen. 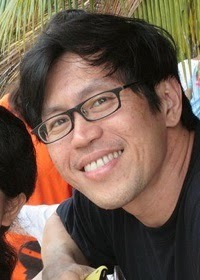 Kim Pong is the Founder and Managing Director of Invisible. He is a husband, a father of two boys and two girls, an entrepreneur, an accidental pastor, and a passionate strengths advocate. Connect with Kim Pong on LinkedIn and Twitter @limkimpong.